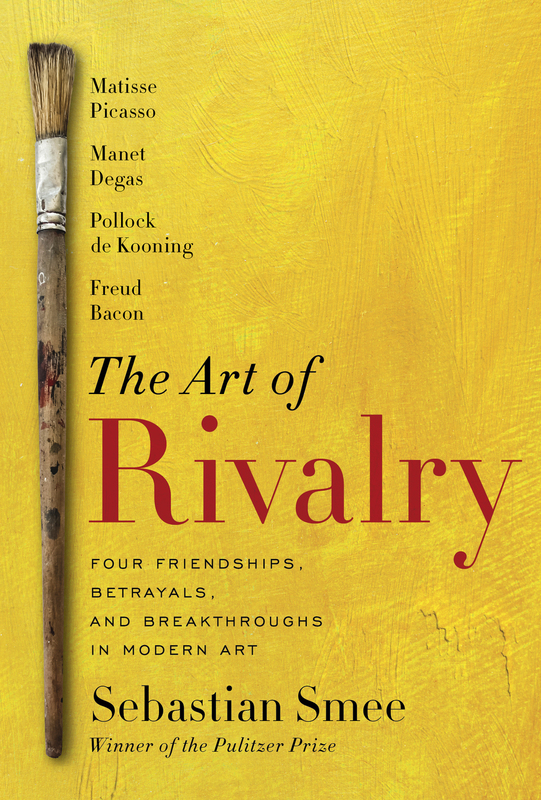 In The Art of Rivalry: Four Friendships, Betrayals, and Breakthroughs in Modern Art, Pulitzer Prize-winning critic Sebastian Smee follows four relationships that changed the course of art. Each relationship – Matisse and Picasso, Manet and Degas, De Kooning and Pollock, Freud and Bacon – was at once a competitive rivalry and an uneasy friendship. In focusing on a specific drama or turning point in each case, Smee shows how rivalry in the creative field tends to be more intimate, ambivalent, and fraught than the stereotype of sworn enemies slugging it out in a fight for preeminence would have it. This, then, is a story about seduction, yielding, resistance, the formation of identity, creative breakthroughs, and love.